Formula 1 racing has been linked closely with film lately, largely thanks to the 2013 release, and enormous success, of Ron Howard's Rush. You will likely recall that we offered a review of the movie some time back. At the time, we suggested that Howard's film may just have been strong enough to be considered the best F1 film ever made, though truth be told (thanks to several stirring documentaries) this is a more competitive field than many might believe. With Rush now trying its luck on the awards circuit, however, it seems like a good time to follow up on our prior claim with a brief ranking of the top five F1 films ever made. And in case you haven't seen any of these, be sure to keep an eye out for them on Picturebox. This unique streaming movie service offers a bevy of films on a rotating basis, as a specialised panel of cinefiles shuffles through them every few months or so. Now that you know where to look, on to the list! If you're looking for the best insight into the life of a racing champion - or at least, his mindset entering a major event - this should be a film you mark down. 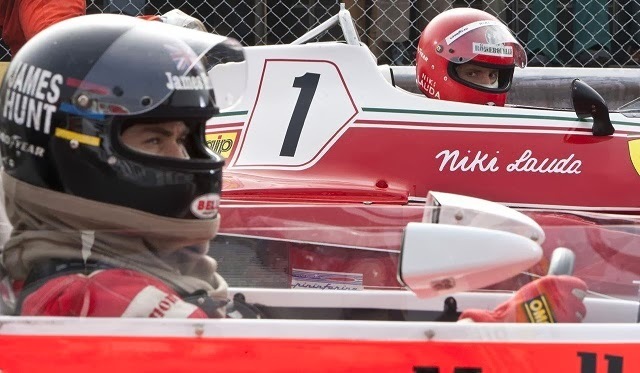 Produced by the great Roman Polanski, the film is a real life look into the 1971 Monaco Grand Prix and specifically follows legendary champion Jackie Stewart as he prepares for the race. It's a rare look. And that's not just in F1, but in sports in general, as it gazes into the true preparation and mindset of a champion. It's not the most uplifting of documentaries, but it's a necessary glimpse into the deadly decades of the 1960s and 1970s when F1 racing was shockingly dangerous. BBC ought to be commended for not holding back on what at times is a gruesome film, and it certainly covers a necessary chapter of the sport's history. This 1966 film was probably the most well regarded F1 fictional film before Rush came out in 2013 - and with good reason. Entertaining, well made, and accurate, Grand Prix portrayed F1 racing through invented drivers playing out a fictional season. We call it accurate simply because the film looks so much like the real thing, and for that reason it's wonderful to watch for any fan of the sport, even nearly 50 years later. This documentary look at famed (and tragic) F1 hero Ayrton Senna is called by many one of the best sports documentaries ever filmed. Grantland offered a beautiful review of the film, complete with some history on the man himself, back in 2011. It remains the best introduction if you're planning on watching Senna for the first time. If you didn't get the chance to see Rush last year, keep an eye out for it on streaming sites. And at any rate, you're going to want to make sure you find a way to see this film because it's not only a great F1 film. Rush was truly one of the best of 2013. The true account of the James Hunt (Chris Hemsworth) vs. Niki Lauda (Daniel Bruhl) rivalry, it's one of Ron Howard's finest efforts as a director. It's a suspenseful, amusing, moving and entertaining film all at once, packed with just the right balance of action and emotion. This is a guest post by John Thomas, a writer living on the East Coast of the USA, and an avid F1 follower and film fanatic. As always, please let us know in the comments what you think of John's selection. Grand Prix's in-race footage was indeed excellent, especially given the relative technological limitations of the time. I guess the main shortcoming of Grand Prix though was its off-track plot, which while it wasn't quite as bad as some like to say certainly wasn't brilliant. I think you're being very harsh on Rush. One thing I'd say in its defence is that Ron Howard was making a Hollywood film to appeal to a mass market (i.e. not just F1 fans), and therefore inevitably there was going to be dramatic licence (this is the case for just about any Holywood film 'based on' historical events). And I thought that with this in mind Rush's historical accuracy was actually remarkably good, perhaps much more accurate than could have been expected. Perhaps the only substantive departure from reality was it portraying Hunt and Lauda as not getting along, when in fact they were good friends. But even there the film just about retrieves the situation at the end!